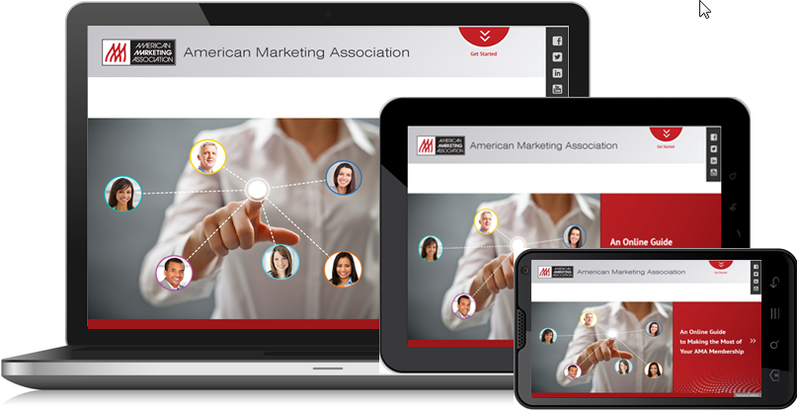 The multimedia content Hoffman produced for the American Marketing Association (AMA) runs on any platform – including tablets and smartphones – without the need for any app, viewer, player, or plugin. So association prospects can view this content anywhere, anytime. 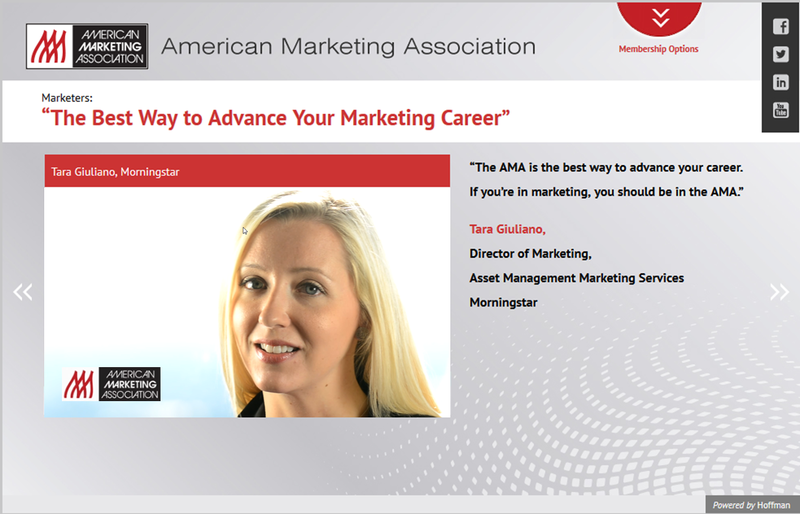 Hoffman developed a branded design for AMA’s multimedia content that complements the look and feel of its redesigned web site – providing a seamless user experience. 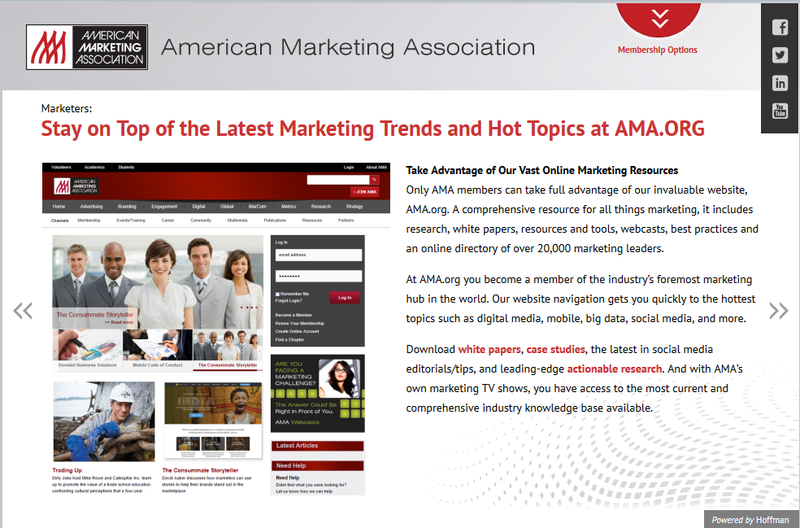 The design incorporates the AMA logo, fonts, branding colors, style, and links to its social media sites. Applying its 30 years in the marketing communications business, Hoffman provided high-quality copywriting services for this content, developed the storyboard, produced the original videos, created the infographics, developed the interactive maps and other content described below, and delivered the complete package as a turnkey solution. At the AMA offices in Chicago, Hoffman filmed 1-2 minute custom videos of their CEO and CMO. We also filmed five AMA members, who gave compelling video testimonials. We worked with participants to craft scripts and handled all pre- and post-production services, equipment, and editing. 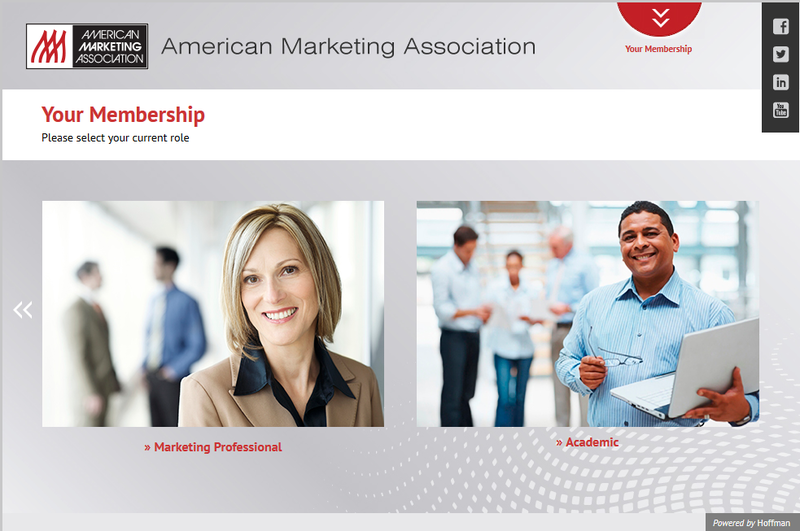 We then embedded the high-definition videos into the marketing content to tell a compelling story of the benefits of AMA membership. To boost user engagement, Hoffman incorporated interactive content into the AMA multimedia deliverable. For example, after a welcome video, the user can choose a path through the content by selecting the type of membership that applies to them: in this case, marketing professional, academic, or student. After choosing an option, the user is guided down a content path that is specifically tailored to their interest area. 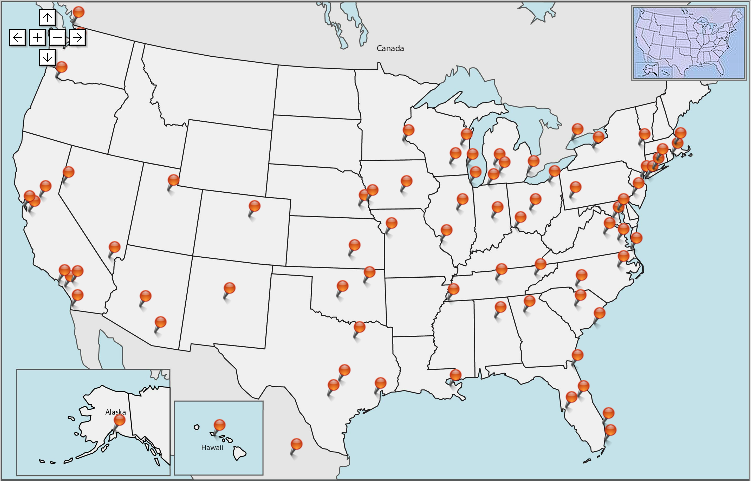 Hoffman created an interactive map that includes a pushpin for each of the more than 70 AMA local chapters. Hoffman then embedded this map into the multimedia content. Map users can scan in or out, pan 360 degrees, and click on a pushpin to access the web site of a particular local chapter near them in a separate browser window. This helps the AMA coordinate its national and local chapter marketing efforts. 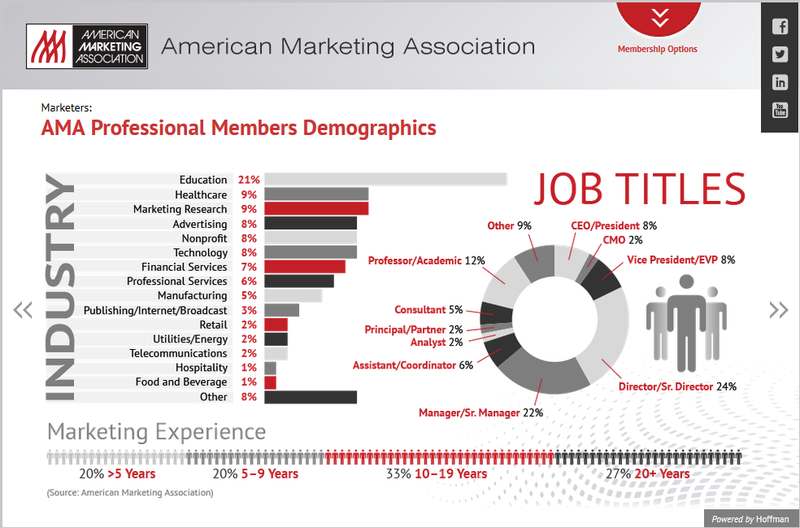 Hoffman developed a series of attractive yet useful infographics about various aspects of AMA membership to help inform prospects and aid their membership decisions. Hoffman then embedded these infographics at key locations in the multimedia content.